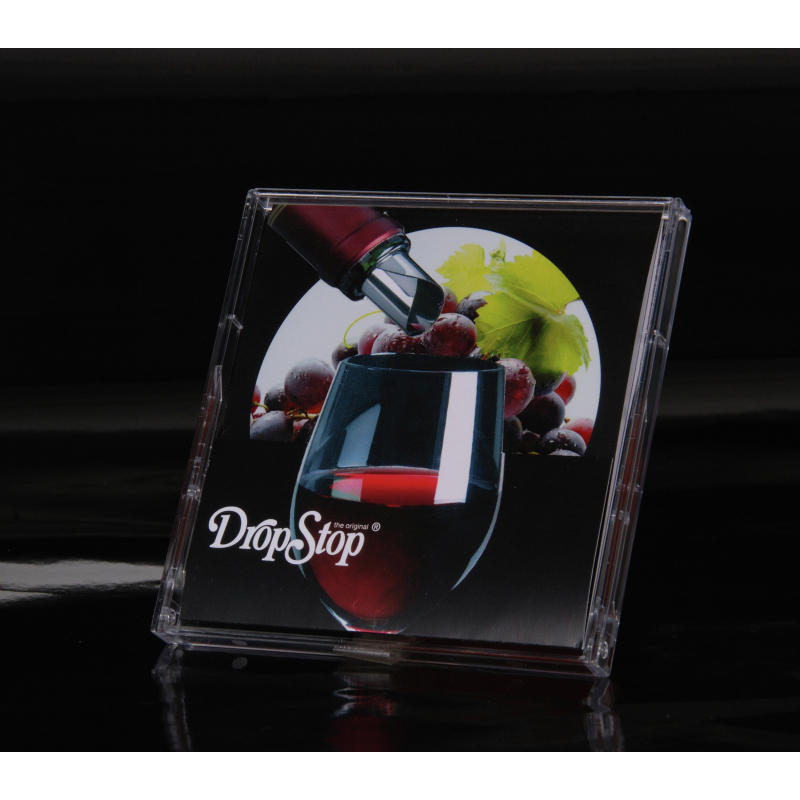 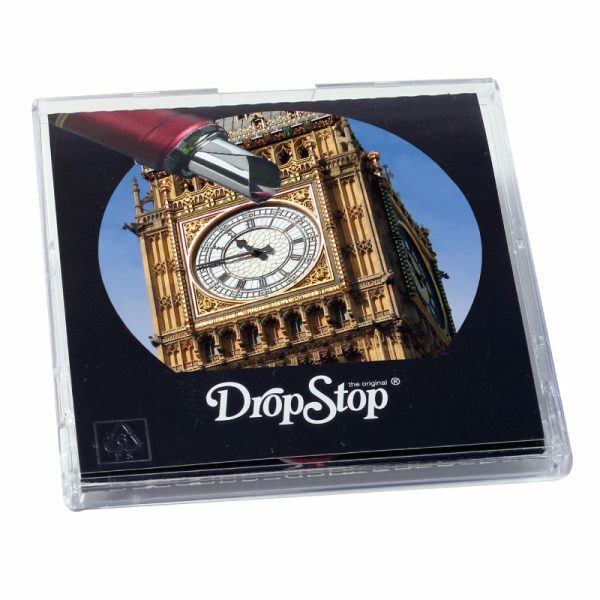 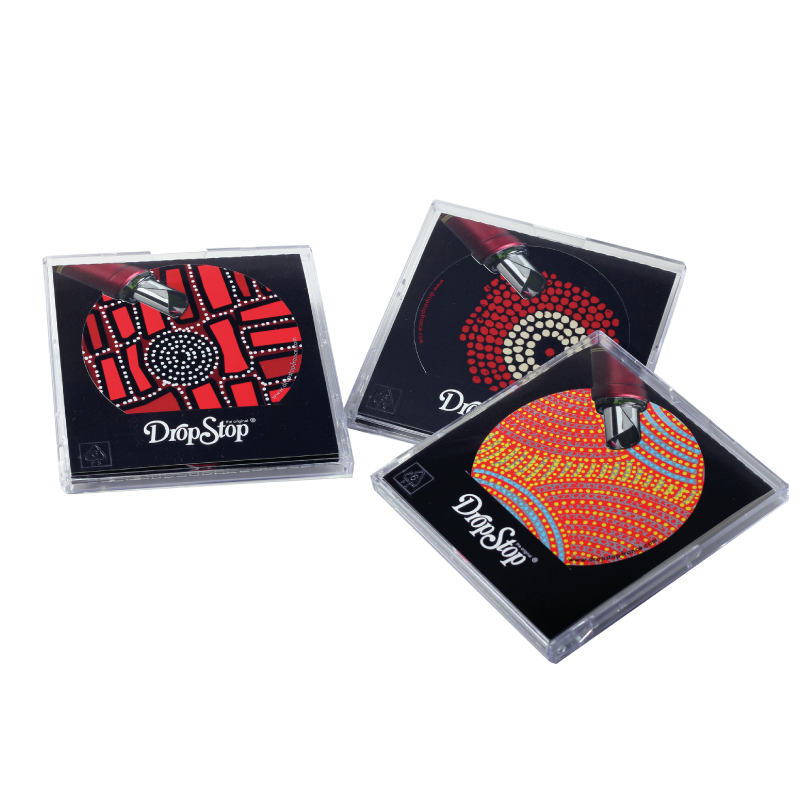 Hard-wearing, protective Cassette Disc securely packages printed DropStop®. Standard design with bottle and glass. Holds 1-25 customised DropStop®. 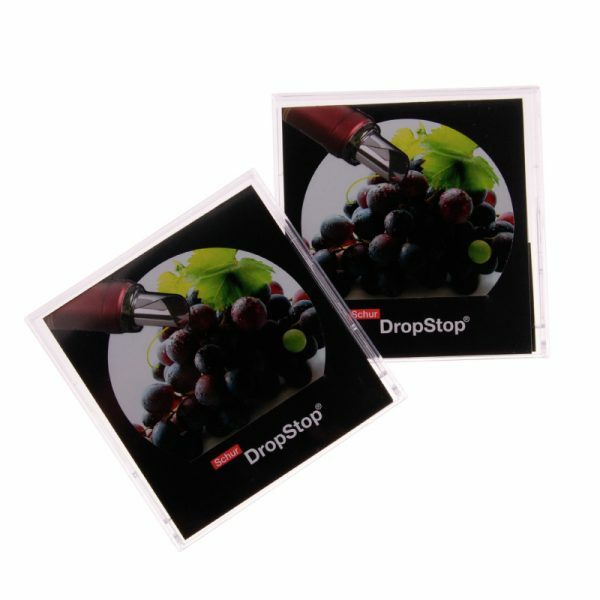 Protective packaging solution for branded drip free wine pourers.